Following the February 14, 2014 underground radiation release event at the Waste Isolation Pilot Plant (WIPP), scientists at the Carlsbad Environmental Monitoring and Research Center (CEMRC) saw a need to expand their ambient air monitoring capabilities in order to provide additional information to area residents in the event of a future radiation release event. 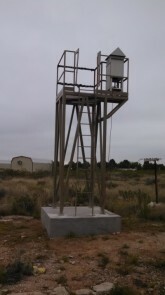 Historically, the CEMRC has operated three ambient air monitoring stations – all located on or near the WIPP facility with one being located within the WIPP site boundary, one located approximately ½ mile northwest of the facility and one located approximately 12 miles southeast of the facility. 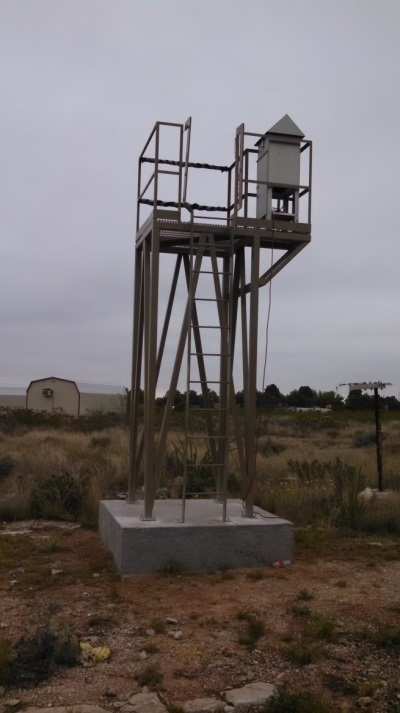 With support from the U.S. Department of Energy’s Carlsbad Field Office, the CEMRC has now added three additional ambient air sampling stations to its environmental monitoring program with one located behind the CEMRC facility in Carlsbad, one located on the south side of Loving, and one located on the east side of the WIPP facility. The addition of these new monitoring stations will help provide area residents and the scientific community with better information in terms of establishing the level of “normal” or background radioactivity present in the ambient air near these new locations as well as providing additional detection capabilities in the event of another release at the WIPP facility in the future. For more information regarding the Carlsbad Environmental Monitoring and Research Center’s independent environmental monitoring program visit our website www.cemrc.org or call the CEMRC Director, Dr. Russell Hardy at (575) 234-5555. This entry was posted in Uncategorized, WIPP event. Bookmark the permalink. Follow any comments here with the RSS feed for this post. Both comments and trackbacks are currently closed.